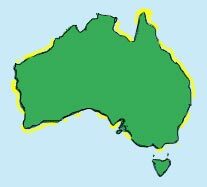 Australia has approximately 51,000 km2 of seagrass meadows in shallow subtidal and intertidal environments. They are generally found in estuaries and sheltered bays where ocean currents and wave action are not as great. It is estimated that there are nearly 6,000km2 of seagrass in Queensland waters shallower than 15 metres, and that up to 40,000km2 of the waters deeper than 15 metres of the Great Barrier Reef lagoon are likely to have some seagrass. covering an area of almost 10,000 kmcovering an area of almost 10,000 km2. 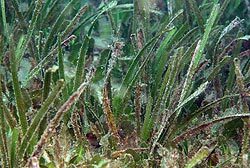 Western Australia has one of the biggest seagrass populations in the world. 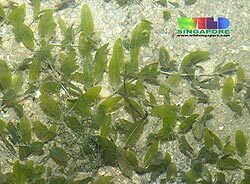 Seagrasses are estimated to cover some 20,000 km² of shallow seabed, and there are 27 species in this region. The variety of habitats along its western and southern coasts is often soft sands in shallow subtropical waters, ideal for these plants.